What a cold, wet, miserable winter we’ve endured: snow, sleet, sub-25 degree temperatures for days, weeks of overcast skies. I think my feet have been cold since Thanksgiving. 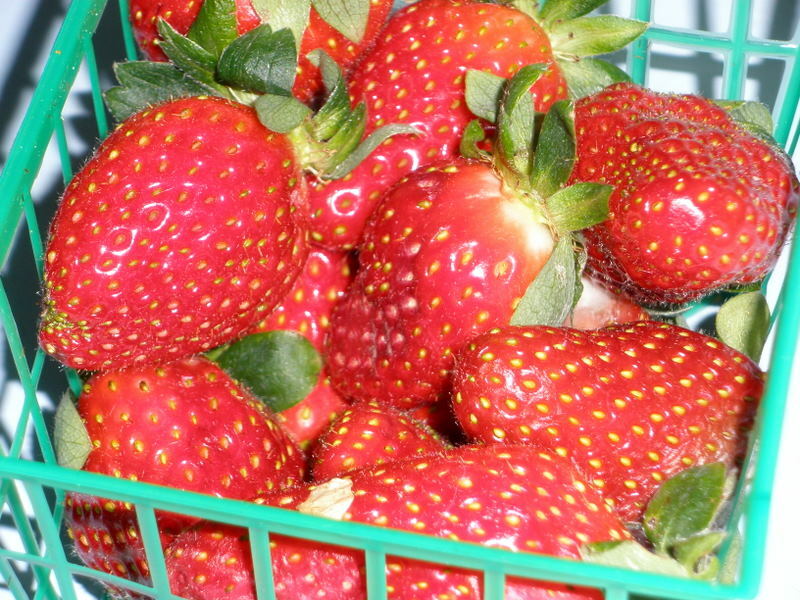 Still, I know spring is just around the corner–I spotted the first Tangipahoa Parish strawberries at the farmers’ markets! These berries, from a cold-tolerant variety grown under row covers, aren’t as tender and juicy as the late spring fruit, but they’re still quite delicious. I ate most of them on the ride home from the market. They tasted like spring.